ICP can repair, test and certify Electrohydraulic Brake Thrusters.  Industrial Clutch Parts Ltd. distribute a wide range of Sibre and Eldro Electro-Hydraulic Drum Brakes and Thrusters. Designed for use in heavy-duty industrial applications. They are suitable for use with the 400, 600 or 800 range of mill motors and they may also be used in conjunction with other equipment. The electro-hydraulic thrusters have been designed to provide safety and reliability on cranes in ports, steelworks and other material handling applications. Electro-Hydraulic Drum Brakes are available in six sizes to suit the following wheel diameters: 8, 10, 13, 16, 19 and 23 inches. The output torques range from 68 Nm to 5400 Nm. Electro-hydraulic drum brakes are spring applied and electrically released, which means they are inherently fail-safe. Shunt brakes are available, with the necessary ancillary equipment, for operation on voltage ranges from 100V to 550V D.C. and 200V to 550V. A.C. Series brakes are available for use in series with D.C. motor armatures for motor full load currents between 10 amperes and 928 amperes.